You will find below the horoscope of Leyla Gencer with her interactive chart, an excerpt of her astrological portrait and her planetary dominants. If you know the time of birth of Leyla Gencer, we would appreciate it if you would send us your information with your source, at stars@astrotheme.com. To thank you for contributing to the enhancement of our astrological database, we shall be glad to send you the astrological portrait (34 pages) of this celebrity. Horoscopes having the same aspect Moon trine Jupiter (orb 1°19'): Drake (entertainer), Jared Leto, Salman Khan, Jake Gyllenhaal, Heidi Klum, Muhammad Ali, Ian Somerhalder, Evelyne Dheliat, Charles, Prince of Wales, Courteney Cox, Zendaya, Michel Sardou... Find all the celebrities having this aspect. Celebrities clicked on in real-time: 576,708,743 times. Leyla Gencer, or Ayşe Leyla Çeyrekgil (October 10, 1928 – May 10, 2008) was a world-renowned Turkish soprano opera singer. Leyla Gencer was born in Istanbul as the daughter of a Turkish father and Polish mother. Here are some character traits from Leyla Gencer's birth chart. This description is far from being comprehensive but it can shed light on his/her personality, which is still interesting for professional astrologers or astrology lovers. 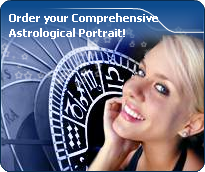 In a matter of minutes, you can get at your email address your astrological portrait (approximately 32 pages), a much more comprehensive report than this portrait of Leyla Gencer. Warning: when the birth time is unknown, which is the case for Leyla Gencer, a few paragraphs become irrelevant; distributions in hemispheres and quadrants are meaningless, so are dominant houses and houses' accentuations. Therefore, some chapters are removed from this part. The predominance of Water signs indicates high sensitivity and elevation through feelings, Leyla Gencer. Your heart and your emotions are your driving forces, and you can't do anything on Earth if you don't feel a strong affective charge (as a matter of fact, the word "feeling" is essential in your psychology). You need to love in order to understand, and to feel in order to take action, to the detriment of a certain vulnerability against which you should learn to fight. Like the majority of Earth signs, Leyla Gencer, you are efficient, concrete and not too emotional. What matters to you is what you see: you judge the tree by its fruits. Your ideas keep changing, words disappear, but actions and their consequences are visible and remain. Express your sensitivity, even if it means revealing your vulnerability. Emotions, energy and communication must not be neglected; concrete action is meaningless if it is not justified by your heart, your intellect or your enthusiasm. After this paragraph about dominant planets, of Leyla Gencer, here are the character traits that you must read more carefully than the previous texts since they are very specific: the texts about dominant planets only give background information about the personality and remain quite general: they emphasize or, on the contrary, mitigate different particularities or facets of a personality. A human being is a complex whole and only bodies of texts can attempt to successfully figure out all the finer points. You are the very type of the researcher endowed with great intellectual and imaginative capacities, Leyla Gencer, and your curiosity is very deep. Researches, riddles and mysteries appeal to you and with a remarkable sixth sense and intuition, you endlessly try to unearth the truth, in all areas, like a psychoanalyst or a detective. You are a very secretive and introverted person, you find it difficult to open up and you rather prefer psychoanalysis. In spite of your clear-sightedness, you find it hard to deal with people: your critical mind, tinted with irony and causticity, may be destructive, especially since your determination and your stubbornness do not incline you to giving up. You are fond of provocations and you handle contradictions skilfully even though you may come across as dishonest. You cannot dissociate love from passion, Leyla Gencer. Your feelings are immediate, imperious, intense, and it is absolutely impossible for you to think of an amorous relationship without fusion, without the irresistible desire to know everything about your partner: emotions, feelings, sexuality, everything must be experienced in a possessive, absolute and unrestricted way. Actually, your feelings are as complex as they are deep. You seldom love, but when you do, a burning ardour and its torrid, violent frolics consume your couple. It is obvious that such powerful feelings may lead to jealousy and absolute exclusivity, almost bordering on the will to control your partner. If your relationship is genuine, all is fine. But if it is not the case, there are real dangers of shared wounds within your couple; it is hard to reconcile passion with tranquillity and it is clear that for you, sentimental serenity involves a partner who is either as complex as you and who instinctively understands you, or who is complementary, and as calm and steady as your impulses are intense and deep. It is difficult to find a more sensitive person than you, Leyla Gencer. You are able to contain your aggressiveness and it may be hard for you to exteriorize your feelings. You are usually passive and you draw your strength from inertia and resistance more than from the will to take action. Your mood is changing, you show little of yourself and you may surprise with your inopportune reactions that come late, when people have forgotten what it was all about. The only area where you express yourself with zeal and where your actions are successful is the area of home or, more symbolically, in the fields where you can achieve security. In other words, you need to feel comfortable before you can move, in concrete matters as well as in sexuality. This text is only an excerpt from of Leyla Gencer's portrait. We hope that it will arouse your curiosity, and that it will prompt you to deepen your knowledge of astrology, as well as to visit and use the wide range of free applications at www.astrotheme.com.